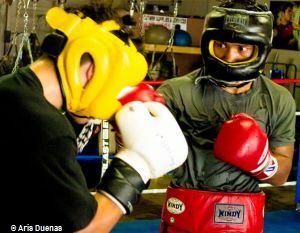 Unlike most Americans and residents of the United States, who are taking a long weekend off from work, Mercito “No Mercy” Gesta is hard at work for his July 18 bout in San Francisco, California. 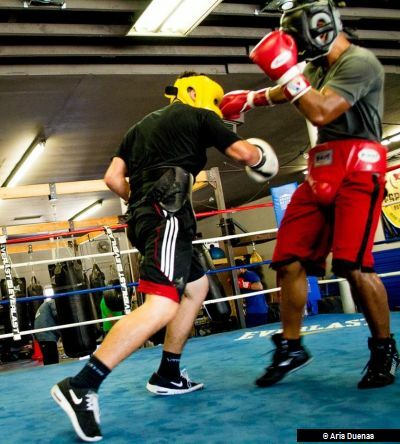 Now based in San Diego, California with his family, the 26 year old former lightweight challenger is honing his fighting skills at the House of Boxing Gym in San Diego, sparring 7 rounds on Friday, July 4th, a national holiday in the States. 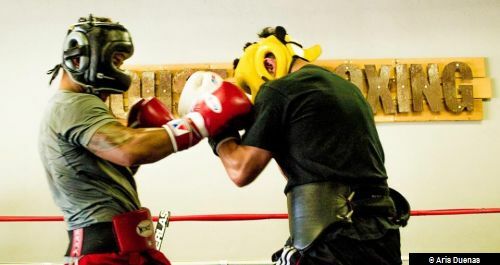 Gesta sparred with prospect Adrian Gutierrez at the gym, two weeks before his fight with Arceo – his second fight this year, and also his second after sustaining a rib injury that put him out of action last year. “Mabuti naman ang training. We are on the right track. Kaya dire-diretso lang hanggang meron pang ilang mga araw bago sa laban.” Gesta told Philboxing.com in an interview. Gesta spent time at the Wild Card Gym for sparring purposes, making two trips to the famed gym for this camp. He also exchanged mitts in various gyms in San Diego before that, under the watchful eyes of his father and trainer, Anecito Gesta Sr.
His focus according to him, for the next two weeks is to continue sparring, improve on his techniques and lose weight for the 138 pound requirement during the weigh-in.